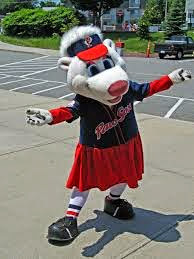 Someday people will give directions in Providence by saying," where the pawsox stadium was suppose to be." In a series of events that was truly, " Only in Rhode Island,"the Pawsox owners pull the plug on the fiasco involving the 195 land and left the future of the franchise (remaining in the state) in doubt. Although the Red Sox baseball people were skilled at getting the city of Boston to work with them on revitalizing Fenway Park, they proved to be no match for the " Allens Avenue" gang. 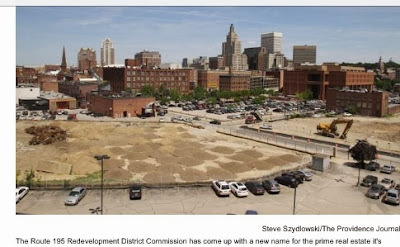 You can't blame the Pawsox owners for thinking they would get some cooperation from a dying, broke city with acres of empty land, but they under-estimated the greed of the locals. The " free land" became a demand of $15 million from Brown University and the city of Providence was right behind them demanding millions more. Remember that developers are forced to use all "195-land union contractors", so tap an extra $10 million into a $75 million dollar construction project. You have to pay off Smith hill, then to have to "pay tributes" to the Providence city council. There were more politicians with their "hands out" then "hands" big Papi gets from the dugout after a Fenway home run. The only" crains in the sky" in Providence are the ones that were moving the 800 pound man. The "ghost of 38 studios" continues to haunt the Rhode Island politicians like the tire marks from a car crash. The worst part of the entire Pawsox stadium deal was the "shell game" involved with attempting to construct a deal in the state. Trying to figure out who is the true decision maker in the state is like a game of charades. Raimondo was in favor of it until public opinion chased her away. The Speaker was looking to make a killing on the stadium, but could not control Brown or the city of Providence. Do you see any crains in the sky?